HOPE QUIZ is a unique exercise of providing important health messages to children, packaged in an exciting manner. 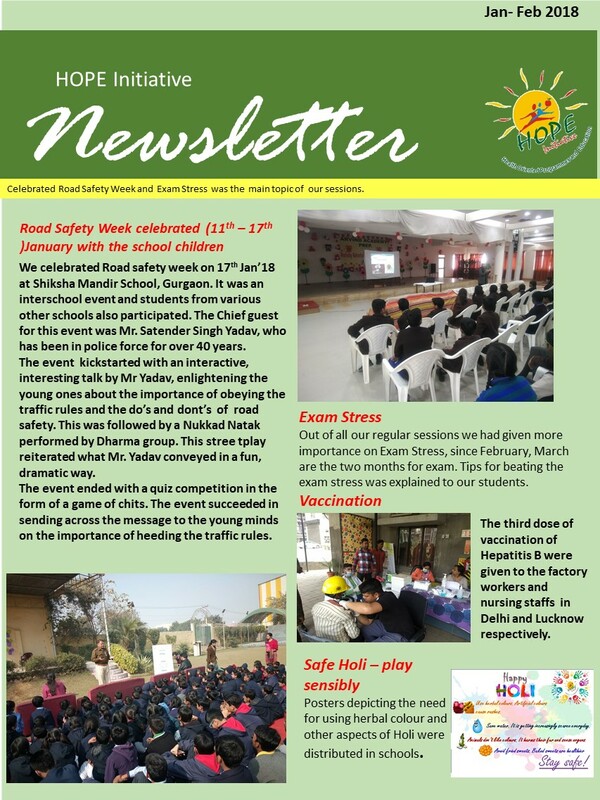 Students not only learn to explore and also get to carry back loads of useful information. HOPE Quiz is not just packed with information, it is also very enjoyable. During the entire month of November Intra- School Quiz were held in around 100 schools of the city, through power point presentation, flip charts and questionnaires. Useful health related information was passed on to students in this manner. The winners were given certificates and prizes. Top scorers were selected for the next round the Quiz. Inter-School Quiz started with the semi-final round which was a written one and was conducted through power point presentation. From among 51 schools who participated in this semi-final round top 6 schools were selected for the Final Quiz. Each school team comprised of 2 students from that school. Semi final Quiz was conducted by Dr. Piyali Bhattacharya. Final Quiz was conducted by Dr. G. Choudhuri, which comprised of several exciting rounds. Question which the teams were not able to answer were passed on to the audience. During the quiz Dr. Choudhuri provided lots of relevant health messages to students. Entire quiz session was very lively and full of health messages. Winners were awarded trophies and each participating school was also presented a trophy. Prizes were also given to those who answered correctly during the audience rounds. First position went to Durgesh Yadav and Sauresh Srivastava of Brightway janakipuram. Second position went to Gaurav Dubey,Samanvay Siddhart Srivastava of Lucknow Public School and third position went to Qasim Ahmad and Rwitick Ghosh of CMS, Station Road. Around 15 schools all around Gurgaon participated in the quiz. It was a unique exercise of providing important health messages to children, packaged in an exciting manner. Students not only learned to explore but also carried back loads of useful information on health. 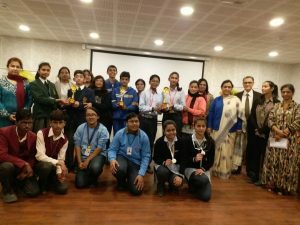 There were 2 rounds – first the preliminary round where all the schools participated and then the final round where the selected 6 schools participated. The preliminary round was conducted by Mrs Arundhati Choudhuri, our Program Head. The answers were also explained to the students and the audience. The final round was conducted by Dr. Gourdas Choudhuri, our Founder and HOD of Dept of Gastroenterology, Fortis Hospital Gurgaon. His entire session was loaded with very lively and full of health messages and anecdotes. Pic: Winners of HOPE Quiz with medals.